WE DON'T JUST TEACH THE TESTS - WE TAKE THEM TOO! I'm the founder of Main Line Test Prep and Tutoring. My previous experience as a lawyer and trader has allowed me to hone my math, verbal and writing skills. In my spare time, I love appearing on game shows, playing piano, and performing stand up comedy. I also do a mean impersonation of ex-Eagles coach Andy Reid. What's everyone saying about us? Steve was terrific! He was highly knowledgeable, enthusiastic, and completely engaged in providing our son with excellent insight into the SAT testing process. Steve has a comprehensive and insightful understanding of the SAT testing process and he has developed highly effective strategies that he has cultivated over the years by personally taking the SAT exam. Steve tailored his teaching and counseling to the specific needs of our son and he was always thoroughly prepared for each session. As a result of Steve's knowledge, advice and tutoring, our son's scores went up 490 points. We were truly impressed with his SAT services. We will be using Steve again to tutor our daughter when she enters high school. Thank you Steve! When my son's counselor recommended that we hire a tutor to bump up my son's PSAT scores into National Merit range, I admit that I thought, "I don't think we are a SAT tutor kind of family." I had heard great things about Steve, though, so we gave it a whirl. I honestly could not have had a better experience. My son's sessions were carefully tailored to his specific needs and my son downright enjoyed himself. He had *fun*. And the proof is in the pudding... my son's PSAT score bumped significantly, and he was a National Merit SemiFinalist and received all of the scholarship and college opportunities that came directly from that status. Colleges offered automatic scholarships, application fee waivers and expedited decisions, waivers of application essay requirements, priority class scheduling and honors housing.... Steve clearly cared very much for my son and his progress in general, checking in with him and our family long after our sessions ended. When my son was accepted to a great university, Steve was there cheering louder than anyone. If you ask around, you kind of get the feeling everyone in the world knows Steve, but only because anyone who has ever met him counts him as a friend. Steve is an exceptionally smart, personable guy and a great teacher. He will definitely be tutoring my younger son. Main Line Test Prep was a critical piece of getting into 6th grade (non-feeder entry year) at Potomac. Our daughter was one of 65 applicants for 9 spots. Her few hours with Steve were critical. Steve helped her with strategies to tackle subjects that were completely new to her (e.g, negative number properties). He also armed her with general test taking strategies. After just two hours with Steve, we saw a significant jump in test score results (over 25% improvement on scores). Further, she scored over 90 percentile in two areas that had stumped her during practice. After this positive experience, we will definitely use Steve in a few years for SAT prep. Steve was a great tutor! Besides being very flexible with lesson times, he is a very personable guy (which is important to make students feel comfortable), and extremely knowledgeable about the SAT test. He gave our daughter great insight into understanding all the different sections of the test, types of questions in each section, strategies for interpreting and selecting answers for certain types of questions and other tips that we would never have known otherwise. Additionally he provided content knowledge that helped my daughter understand better where she needed to focus her preparation efforts. I know that some people may consider a one-on-one, personal tutor to be a considerable expense, but the return on investment for us was well worth it. My daughter's scores were fantastic and I am very optimistic we will now qualify for merit aid that we would not have qualified for otherwise. Additionally, we feel that we can consider many more colleges that we would not have considered had her scores not been so good. Thank you Steve! We enlisted Steve's help tutoring our daughter for her SATs. Unfortunately, she was required to take them in 10th grade in order to be considered for admission by some of the more academically challenging schools during the athletic recruitment process. Needless to say, she was very concerned that taking them so early in her high school career would be a huge disadvantage and could hinder her eligibility as opposed to enhance it. However, with Steve's help and guidance, she gained confidence and determination and elevated her scores almost 200 points from the PSAT she had taken just 6 months earlier. Most importantly, she liked Steve as a person and never once complained about her tutoring sessions! A big THANK YOU to Steve for helping to make this process pleasant, stress free and civilized! Steve did a tremendous job helping me beat my goal on the GMAT. When I first started my GMAT journey I was using a self directed Kaplan Online course that involved no instruction; I was doing all of my studying on my own. When I took the test for the first time I got a 660. After that, I reached out to Steve to help me get the extra guidance I needed to get a score north of 700. After some sessions with Steve I felt much more confident going in to the test. Upon taking the GMAT for a second time I scored a 750 and was blown away by how far I had come in such a short amount of time. I owe a lot of my success to Steve! Steve is a wonderful math coach for our middle school son. He works at a pace which balances his student's understanding of the material and the time deadline for a test. Steve is both creative and flexible in delivering a curriculum. He layers the fundamentals which build upon one another, and applies mathematical concepts to my son's real life interests to assure understanding and mastery of the relevant material. Steve's positive and empowering communication style created a confidence in my son to believe in his capabilities to succeed in math. With Steve's help, our son's score increased 240 points. He found minor, fixable flaws in our son's approach to certain types of reading and writing questions. Together, Steve and our son adjusted his approach on certain questions, and it paid off! Thanks Steve! Steve was just what Lexi needed to boost her confidence in taking standardized tests. She surpassed her score from the first time she took the ACT. He gave her strategies regarding how to look at questions differently, and his time and effort working with her really paid off! Thank you very much for all of your help and guidance while tutoring Paige. With your help her SAT scores were up over 200 points from the time that she started with you! 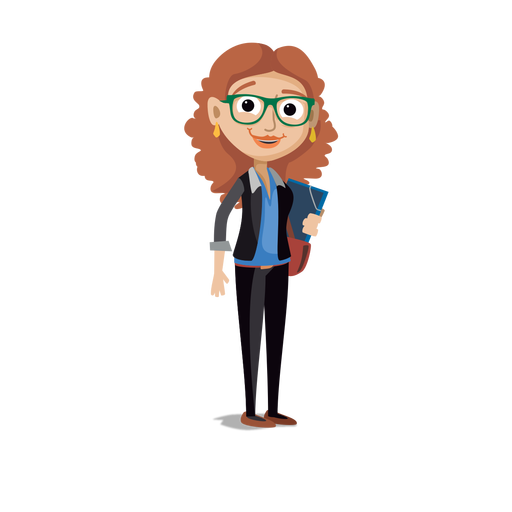 Your flexibility and teaching style really put her at ease and made the process enjoyable. Steve worked with me for several weeks to make sure my MBA Applications were in tip-top shape. He kept me focused and made sure that I was answering the questions that were asked, instead of the questions that I wanted to answer. He made sure that I did the work required so the schools could understand my goals and experience. He definitely made a difference as I was accepted to Wharton Business School’s prestigious Lauder Institute Program. An SAT score increase of 310 points, fantastic! Tutoring with Steve made the difference. 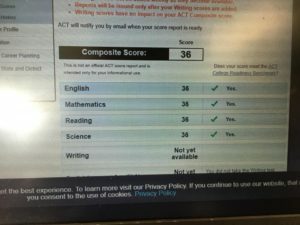 Steve worked with my son, Cole through weekly preparation sessions for his 1st and 2nd SAT's and the results were clear. The way Steve focused Cole on learning better SAT test taking skills with a specific microscope placed on my son's individual needs and weakness helped Cole reach his goal. We are now confidently visiting top choices where Cole's SAT scores sit comfortably above the required for every university he is interested in. Thank you Steve! I'd like to thank Steve so much for all he helped me with. Going into the SAT process I didn't really know where to begin, what to study, and how to approach problems I didn't know how to do. Steve helped me take things step by step and answer questions in all three sections efficiently and effectively. My scores improved more than I ever thought they would or could when I began working with Main Line Test Prep. I greatly appreciate the positive and relatively stress free experience! Thanks for tutoring Sophia. Her SAT scores are up over 250 from the time you first started tutoring her! I told everyone that I'd found the world's greatest tutor. That you continued to find time for Sophia with everything that was going on in your own life makes you even more amazing. Really, I am so grateful to you! Steve helped identify my weaknesses on the GMAT. He showed me more effective ways to study. We discussed the logic behind the problems and practical strategies for eliminating answers under time pressure. Most importantly, I did well on the GMAT and I am now getting my MBA! Steve helped me to increase my SAT score by 150 points within the short span of a month leading up to the test. He boosted my confidence and had me walking into my classroom on test day calm and prepared. He is truly the best and I can't thank him enough! Thanks for all your help and assistance. Jack was very confident with himself when taking the test. With your guidance, his score jumped by 170 points (including a 3-point rise in his essay score!). When I first started studying for the GRE, my practice scores were fairly low and would not have been good enough to get me into the graduate schools at which I was looking. Steve taught me the skills and techniques necessary to excel on the exam and provided me with support each step of the way. With Steve's help, I reached my ideal scores on my first attempt at the GRE! Main Line Test Prep definitely made a difference. English is not my first language (I am Japanese), but I wanted to attend university in America. Steve taught the SAT to me in a way I could understand. He taught many shortcuts (in both math and English). My scores went up over 100 after one week! Eventually, my score jumped 270 points (on the old 1600 scale). I got into a great school. Thanks Steve! Have you ever made one of those decisions and look back and think - "I do not know where my child would be now if I did not have done that?" Hiring Main Line Test Prep was one of those excellent/fortunate decisions. Steve helped my daughter improve her scores by over 28%. Her confidence grew after each session. His process is very methodical and customized to the student. He covered testing strategies as well as strengthened academic content. Steve lives academic testing (ask him how many times he has actually taken the test himself). I would highly recommend him. Steve prepared our daughter, Kylie for the SATs and ACTs after she had already taken them twice and was not seeing desired improvement. After only a few sessions with Steve, her scores improved significantly on both tests making her competitive for Top Tier colleges/universities. Steve was intrumental in improving Kylie's confidence with taking the SAT and ACT tests. We used Steve from Main Line Test Prep to tutor our 5th grader who was applying to Potomac School (a competitive independent school in the DC Metro area). It requires the SSAT. It is very competitive particularly the 6th grade entry year (7th is a class expansion and feeder year). There were only 8 slots open and some of those were slated for opposite gender. The admissions office told me that less than 15% of applicants for that grade were given an acceptance letter. Steve's help sealed the deal for our daughter for sure. My 11 year old had limited/no exposure to this kind of test. She was comfortable with the material therein but was scoring average on practice tests at home. After two 1 hour sessions with Steve, her practice scores (same conditions) went up significantly. When she ultimately took the SSAT, she did very well. That coupled with her strong transcript, helped for sure. A seriously smart and helpful test prep service. Highly recommended. You will not be disappointed with Steve. Steve really helped my nephew out tremendously with his SAT! His scores went up 200 points after only 5 sessions. Weekly, Steve gave homework and test prep work that helped desensitize the test and helped my nephew understand the framework of the SAT. Schools do not adequately prepare students for advanced test-taking and this is exactly what Steve has done. Steve continued with my nephew all Spring and we are excited to see his next SAT scores. We will also work with Steve on the college application process. I highly recommend Steve because he is a motivator for students. His sessions have made my nephew more confident in test-taking and that has spilled over to his class work. My nephew is taking honors and AP courses and Steve has still found areas for him to improve. I recommend Steve for SAT prep for any level of your child's education! Steve prepared my son for the SAT and ACT in an excellent fashion. Steve did targeted practice identifying and addressing my son's weaknesses, resulting in a perfect score on the ACT. My twin sons received invaluable guidance from Steve Odabashian as they prepared for taking the SAT. They first attended an all-day seminar taught by Steve in which he walked through test-taking strategies and approaches, then each boy received individual tutoring leading up to test day. Not only did the boys truly enjoy their Skype prep sessions with Steve, but they ended up with really nice scores. One received a perfect 1600 and the other received a perfect math score and a very high verbal score. Based on the increase in scores from their PSATs, it was clear to me and my husband that Steve's work with the kids was an integral part of their success! Send us a message to set up a FREE consultation call!